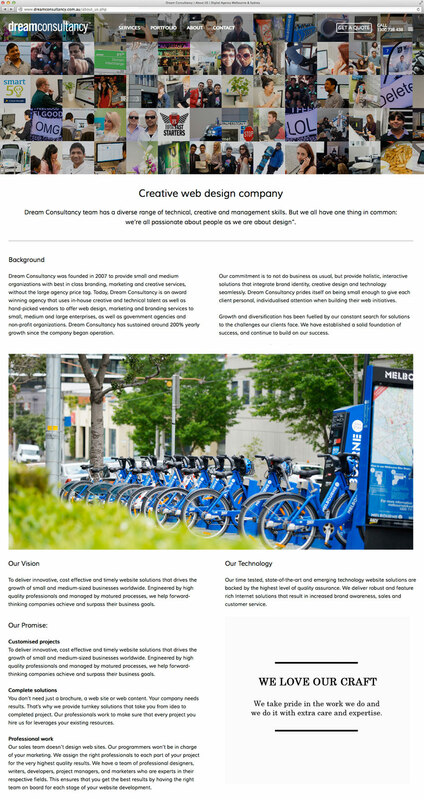 Dream is a full-service digital agency servicing in Melbourne and Sydney, that specialises in website design, development and strategy. Recently, Dream has undergone a brand makeover with a new identity, a new look and a new website. Hence, as part of the makeover, I was responsible for redesigning the website to transform it into WOW, engaging, responsive design and SEO rich website. First, I outlined a sitemap with all the necessary pages and then designed mockups. I designed the structure and the flow of the page in a way that it anticipates the visitors’ actions and needs. 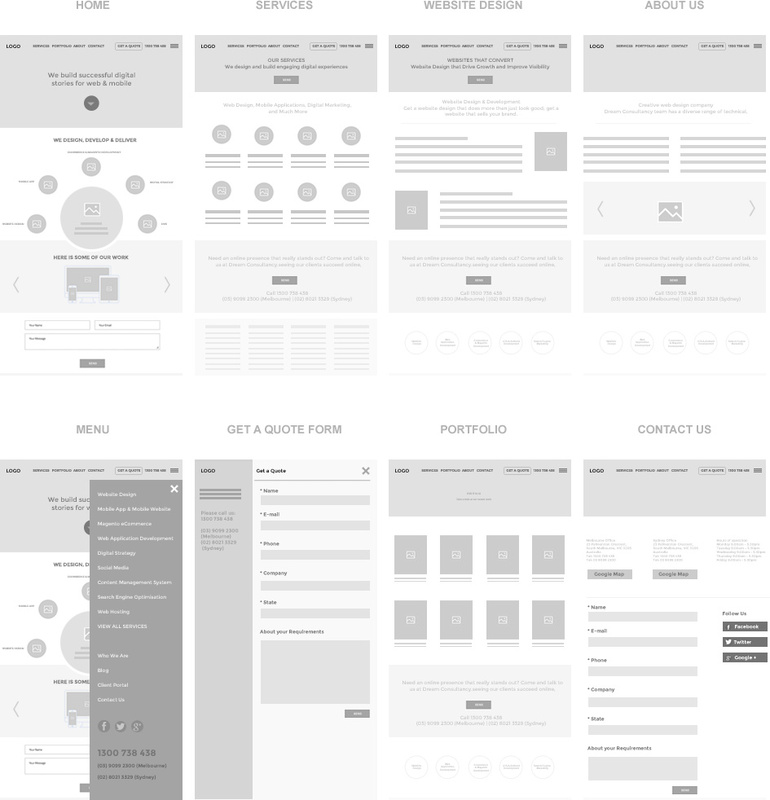 After all the screens were reviewed and approved, I started designing the look & feel of the website. In the development stage, I worked closely with developers to ensure that the designs were implemented correctly. For this project, we used HTML5, CSS3 and jQuery for all of the animations and parallax effect. The outcome of the new website is already paying off. 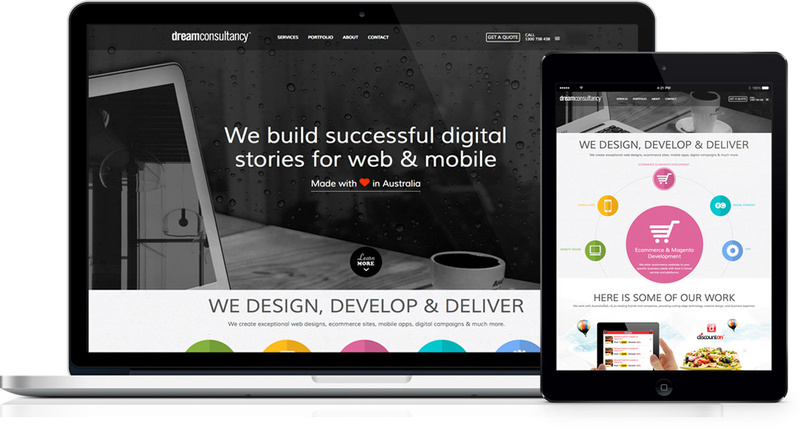 The new, modern design for the Dream Consultancy website has resulted increase in search results, leads and conversion rate.